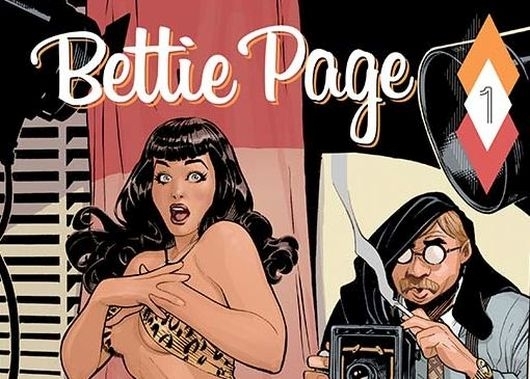 I have been a lifelong fan of Bettie Page and must admit that the zany adventure comics that Dynamite has been producing with her as the leading lady have entertained me to no end. More than just a pretty face, Bettie has saved the world several times over. Her uncommon wit and ability to handle herself have made these new comics ongoing favorites of mine. It is because of that love that I wanted to alert you to the Bettie Page Dynamite Covers Collection. What do you get when cross the girl next door with a little bit of risqué photography? Why Bettie Page, of course! 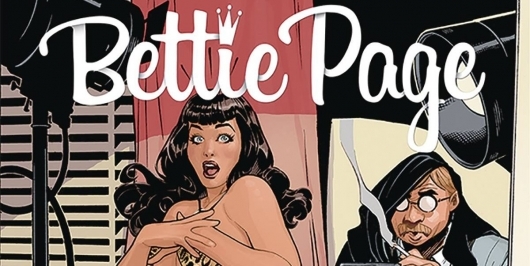 Add in a tad of espionage and you get Bettie Page #1! This comic book series from Dynamite Entertainment is based quite loosely on one of the greatest pin-up models of all time. And while she is renowned for her fearless attitude on and off camera, this explores her “secret diaries” that have been kept from the public until now.